This event offers the possibility to see latest advances in traditional precision engineering fields such as metrology, ultra precision machining, additive and replication processes, precision mechatronic systems & control and precision cutting processes. Furthermore, new topics will be addressed covering robotics and automation, Industry 4.0 for precision manufacturing and applications of precision engineering in biomedical sciences. The organising commitee and local hosts for euspen‘s 18th International Conference and Exhibition is Dr Harald Bosse, PTB, DE, Prof Hans N. Hansen, Technical University of Denmark, DK, Prof. Enrico Savio, University of Padova, IT; Prof. Simone Carmignato, University of Padova, IT; Ing. Alessandro Balsamo, INRIM, IT. Additional support received from Local Organizing Secretariat: Sistema Congressi. Come and join your international peers and maintain a leading edge on technology, customers, partners and suppliers. Access the greatest minds in micro and nano research and development. Share knowledge and information and stimulate debates. Abstracts are expected to describe original work, previously unpublished and should indicate new and significant advances and their importance. Initially short abstracts comprising of approx. 300 words in length should be submitted online using the below links. Following review of short abstracts, authors will be provided with instructions for submitting extended abstracts. On acceptance of extended abstracts, authors are notified of presentation mode (poster/oral). Papers accepted into the conference proceedings are included in Elsevier’s citation index. The final decision on acceptance of all papers is made by the Editor and International Scientific Committee of the conference. The invitation to submit an abstract does not constitute an offer to pay travel, accommodation or registration costs associated with the conference. Similarly, no speaker fee is paid to successful participants. All speakers must register for the conference and transfer registration fee. In specific cases the organising committee reserves the right to deviate from the standard procedure. Please note the fees displayed are Early Bird fees and the rates shown will expire on 20th April 2018. Fees from 21st April 2018 are: €795 euspen Members; €925 Non Members; €495 Student members. ASML is the official sponsor of the Student Networking Diner held on the evening of Tuesday 5th June 2018. Come and network with your peers and listen to the latest ASML activities and career opportunities. Scholarships supported by Heidenhain GmbH are available for students or researchers registered at a recognised International Higher Education Institution. Deadline date to receive applications is Friday 16th February 2018. The construction of ever larger and costlier accelerator facilities has its limits, and new technologies will be needed to push the energy frontier. Plasma wakefield acceleration is a rapidly developing field which appears to be a promising candidate technology for future high-energy accelerators. This presentation introduces the plasma wakefield acceleration technology, gives a summary of recent results of beam and laser driven plasma wakefield acceleration and shows the technological challenges on the example of the Advanced Proton Driven Plasma Wakefield Experiment, AWAKE, at CERN. Biography: Edda Gschwendtner, born in Salzburg, Austria, studied Physics at the Vienna University of Technology. During the last 20 years she was involved in several accelerator and particle physics projects. As a member of the ATLAS experiment at the Large Hadron Collider, LHC, that uncovered the famous Higgs Boson, she participated in the design and the construction of the detector and she made principle investigations about the expected particle backgrounds. She then held a post-doctoral position at the University of Geneva, developing detectors for future high-energy physics experiments. After joining the CERN accelerator team, she became the responsible beam physicist for the CERN Neutrino Gran Sasso beam that confirmed the appearance of the tau neutrino in an oscillation experiment. Since 2012 she is the project leader of CERN’s plasma wakefield acceleration experiment, AWAKE; a novel technology, that pushes the energy frontier of future accelerators used to probe the fundamental building blocks of nature while significantly decreasing the size of the machines themselves. 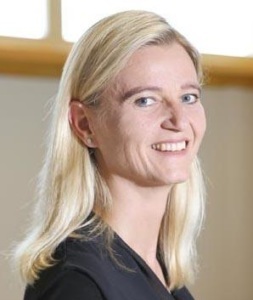 Edda Gschwendtner holds a Ph.D. from the Vienna University of Technology and is member of the CERN scientific staff since 2005. In the quest for sustainable global energy scenarios controlled thermonuclear fusion represents an important option. Fusion, the process that drives the sun and the stars, is clean, carbon-free, safe, does not contribute to nuclear proliferation and uses fuel, which is abundant and ubiquitous like water and lithium. This talk will describe the status, the challenges and the perspectives of the research on magnetic confinement fusion, i.e. that approach to fusion where the fuel in the plasma state is confined in toroidal vacuum chamber by a magnetic field. The major world economies are performing research on magnetic fusion, and the flagship project is ITER. ITER is an experiment, which is designed to demonstrate the scientific feasibility of magnetic fusion and is under construction in France. China, the European Union, India, Japan, Korea, Russia and the United States are engaged to build and operate ITER. The talk will in particular focus on industrial innovation, progressive research and technology developments connected with magnetic fusion research. State-of-the-art examples will be presented, including the new DTT device, whose construction in Italy has recently been approved. Biography: Piero Martin is full professor of physics at the Physics and Astronomy Department of the University of Padova, Italy and an active researcher in the field of controlled thermonuclear fusion at Consorzio RFX. He is Fellow of the American Physical Society, member of the European Physical Society, elected member of the EPS Division of Plasma Physics Board and has a broad international research and academic experience. Author of more than 120 papers in international journals, is presently serving in the Executive Board of the DTT fusion experiment. He is also active in science popularization. The advent of the Industrial Internet of Things and of Big Data Analytics has created the potential for unprecedented development of new control strategies in industrial processes. However, as the fruits of innovation appear to ripen quickly, the boundaries between potential, expected, and actual results should remain well-defined. It is particularly important to keep this in mind in the area of industrial metrology, where reliability and traceability are paramount to the safety and quality of products. Today, more than ever, trustability – i.e. the capacity for the process to deliver precisely what is needed – and cost-of-ownership are the main challenges we should stay focused on. While the latter is pushing academic and industrial research to establish a variety of methods for process maintenance that are preventive or even “aggressive”, trustability improvement is about deepening our understanding of the many correlated factors which underpin the mechanics of product measurement, process monitoring and process virtualisation. Manufacturing challenges have always resulted in the patient development of techniques aimed at improving trustability by incorporating the information available through the machining process and dimensional measurements, while remaining within contractual specifications. This presentation will explore a number of such examples in the context of in-process and in-line metrology. In next-generation high-tech and mechatronic systems, extreme functionalities and performance requirements demand a multi-physics systems approach. The control systems will become adaptive, auto-tuned, will be implemented in optimized hardware and software architectures, and will employ effective (wireless) communication. The field of robotics could be treated as a separate research area, next to mechatronics, but for instance the speed requirements of industrial robots or the accuracy requirements of surgical robots necessitate the inclusion of the description of dynamical behaviour of the robots. Where does mechatronics end and robotics start? Overseeing the developments we could question what mechatronics actually is or will be. Is mechatronics being disrupted? Has it evaporated already into systems engineering, is it part of the supporting disciplines, does it enlarge to be the backbone of cyber physics? Moreover, if biological systems are also going to have technical devices implemented (internet of humans), what is then the role of the mechatronics discipline? How should we educate people in mechatronics thinking? We know for sure that the pace of technological development is accelerating, hence, so should we! 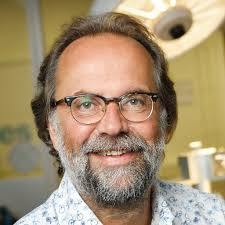 Biography : Maarten Steinbuch (1960) is Distinguished University Professor at TU Eindhoven and his field is Systems- and Control. He received M.Sc. and PhD degrees from TU Delft. From 1987-1999 he was with Philips. In 2016 Maarten was awarded as Simon Stevin Meester 2016, which is the highest award for Engineering Sciences in the Netherlands. He is Scientific Director of the TU/e High Tech Systems Center. He is co-founder and CEO of Medical Robotic Technologies BV. The programme for euspen‘s 18th International Conference & Exhibition in Venice will include optional technical visits tours. These tours will provide delegates with the ideal opportunity to learn more about the companies facilities, capabilities, technologies, product developments and expertise. Company Tours will take place on Friday 8th June 2018 and will run simultaneously so delegates will only be able to attend one tour. Consorzio RFX 35mins Consorzio RFX is a research organization that performs scientific and technological research activities in the field of controlled thermonuclear fusion, as a possible energy source. Main research activities are focused on the design and realization of the Neutral Beam Injector (NBI) prototype for ITER, as well as on the design, development and realization of new technologies, equipment and devices devoted to fusion research and industrial developments. Laboratory for Micro and Precision Manufacturing 55mins The Laboratory for Micro and Precision Manufacturing of the University of Padua is located in the city of Rovigo. 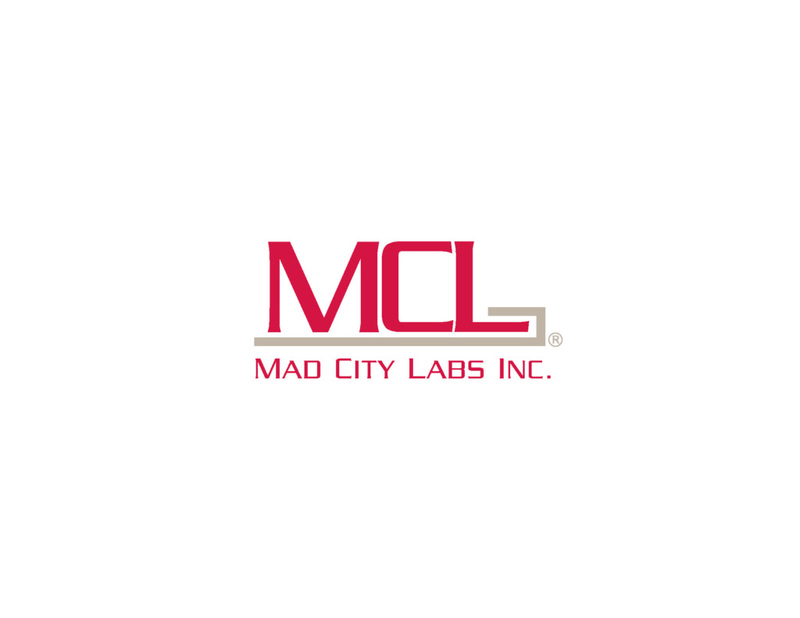 Main responsibilities of the lab are developing, mastering and exploiting the enabling technologies for the manufacturing of the future, with a focus on the domain of precision- and micro-manufacture engineering. MARPOSS S.p.A. 85mins Leader in precision equipment for measurement and control in the production environment. 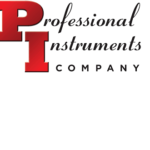 Inspection, measurement and process control solutions include gauges and compensation systems for grinders and other machine tools; manual gauges, sensors, probes and other gauge components; automatic measurement and inspection systems; hardware and software for data collection and process analysis; equipment for non-destructive testing.